HTC started rolling out the Android 4.4.2 update to the HTC One in Europe, this update is available via on the air (OTA) and has the size of 308 MB. We have seen this update rolling out for the US variants of the HTC One and the Google Play edition also. The change-log on the update notification includes the Security enhancement, support for cloud-print, new Bluetooth profiles and many other KitKat goodies. This update removed the Flash player support from the default browser and is expected to roll out other parts of Europe and Asia very soon. If you have not received the update yet, you can update it manually by heading to the Settings> Phone Info> Software Updates> Check New and start downloading the update and then install it on your device. Did you receive you OTA update for your device? Let us know and be connected for more information. 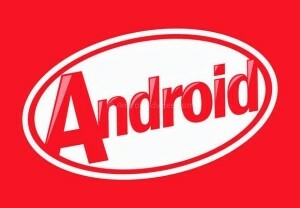 Download the KitKat 4.4.2 Android Firmware Package from here to your computer and extract the boot.img file from the zip file separately. Up next, place the bot.img file in “platform-tools” package and then connect your device to the computer with the help of original USB cable. Enter the command as “ADB DEVICES” to check on whether your phone is successfully connected or not. This step will make sure that all the drivers are installed successfully in the computer. Up next disconnect the device from computer and turn Off the device so that it can be entered in the Fastboot mode. Turn on the device by pressing the Power button and then press the Volume down + Power button for entering the device in the Fastboot mode / boot loader mode. Now, all you need to do is to select the boot loader option and select the Recovery option in your device. In recovery mode, select “Wipe Data/ Factory Reset” option for clearing all the cache. Alternatively, also select “wipe dalvik cache” from the advanced option. In recovery mode, select “choose zip from sd card”. Using your volume keys, navigate to the Android 4.4.2 ROM zip file that you copied to your SD card and select it using the Power button. Once the update is applied successfully, select “go back” and choose the option of “reboot system now” for rebooting the device in the normal mode. It will take around 4 -5 minutes for applying the update. aawww,,the link android 4.4.2 firmware is dead. 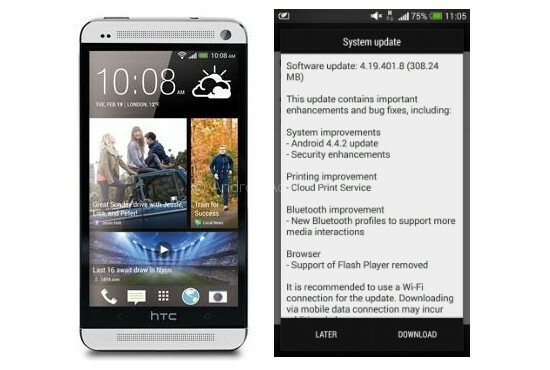 Can this update be applied to HTC One Dual Sim?